Keep fresh mint and other herbs in good condition for longer with these easy steps and smart storage solutions. 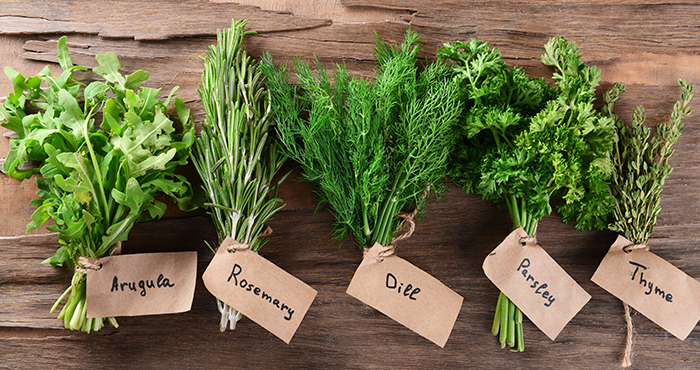 Always wash herbs with cool water and dry them properly to remove excess moisture that could lead to decay. Simply rinse the bunch under the tap, then either lay it out to dry in a single layer on a few sheets of kitchen paper, or dry using a salad spinner. Soft herbs, like basil, coriander and parsley, have tender stems and leaves, while hardy herbs, like rosemary, thyme, and sage, have woody stems and firmer leaves. These differences have an impact on how you store and cook with them. For soft herbs, snip off the bottom of the stems. Fill a jar or glass partially with cool water and place the stem ends of the herbs into the water in the jar. Cover the jar loosely with a plastic bag. Change the water every few days. Wrap hardy herbs loosely in damp kitchen paper. Store the bundle in an airtight container or resealable bag in the vegetable drawer in the fridge. The kitchen paper prevents the herbs from drying out, while the container or bag keeps oxygen out. Basil is best stored at room temperature and not in the fridge, as the leaves can turn black if refrigerated.